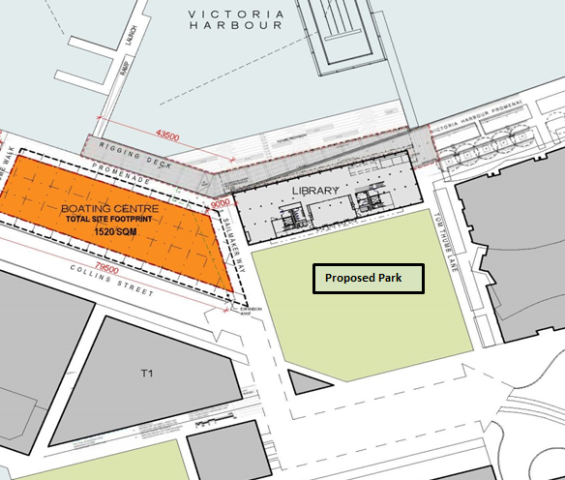 We need your help to name our newest park on the waterfront where Bourke Street meets Collins Street in Victoria Harbour. The park is part of the overall Dockland precinct, which includes the state of the art Library at the Dock. 2. Buluk Square - Buluk is an Aboriginal language name meaning wetlands or swamp. It reflects the original natural environment where the primary purpose would have likely been as a food harvesting and gathering place for Aboriginal people. 3. Dock Square – a contemporary name that reflects the Docklands location and typography of the park, as well as the post settlement heritage of the location. The options were developed in consultation with the Victorian Aboriginal Corporation for Languages (VACL). There were 63 responses received via Participate Melbourne with 47% of respondents preferring Buluk Park, 33% preferring Dock Square and 20% preferring Buluk Square. On 27 May 2014, Council endorsed Buluk Park as the new name for the public space located at 898 Collins Street, Docklands.